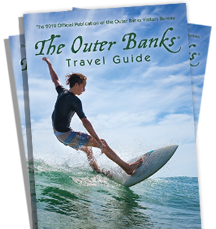 We offer a variety of trips that are not offered by any other charter service on the Outer Banks. There is a 100% effort put forth on each and every trip. It is our top priority that you have a safe, relaxing and memorable trip. The Waterman and Inlet Adventure Trips are excellent for children and families. The Waterman trip is not only fun, but educational, teaching you several ways that seafood is harvested. The best part of this trip is that it is always calm, because we are fishing in the back waters of the Pamlico, Croatan and Roanoke Sounds. Small children are always welcome.